Store Omega 31 at prednisone pill id 77 degrees F 25 degrees C..
On behalf of its member health centers, CHCACT advocates for issues concerning the vitality of community health centers and their ability to serve underserved populations. 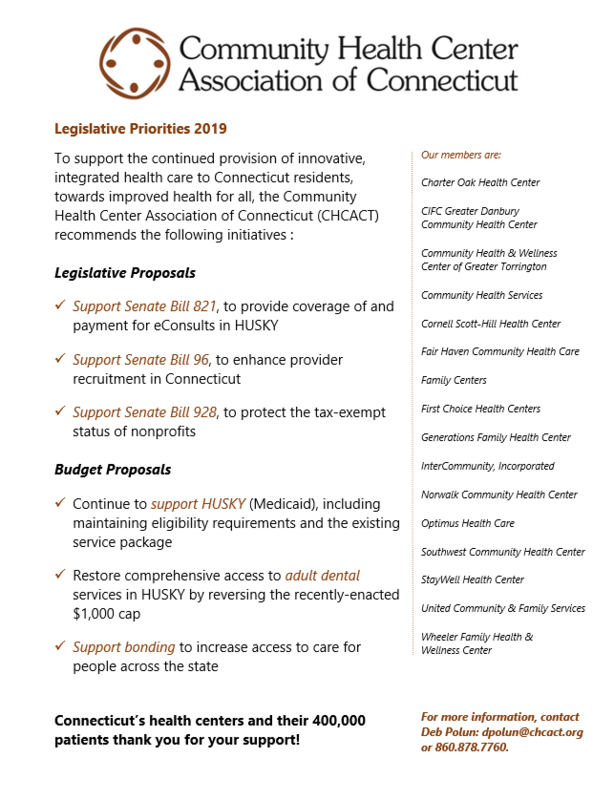 These issues include providing health care to the uninsured, homeless and other vulnerable populations who do not have a medical home, ensuring the HUSKY program works well for Connecticut residents and promoting programs that improve the delivery of health care. 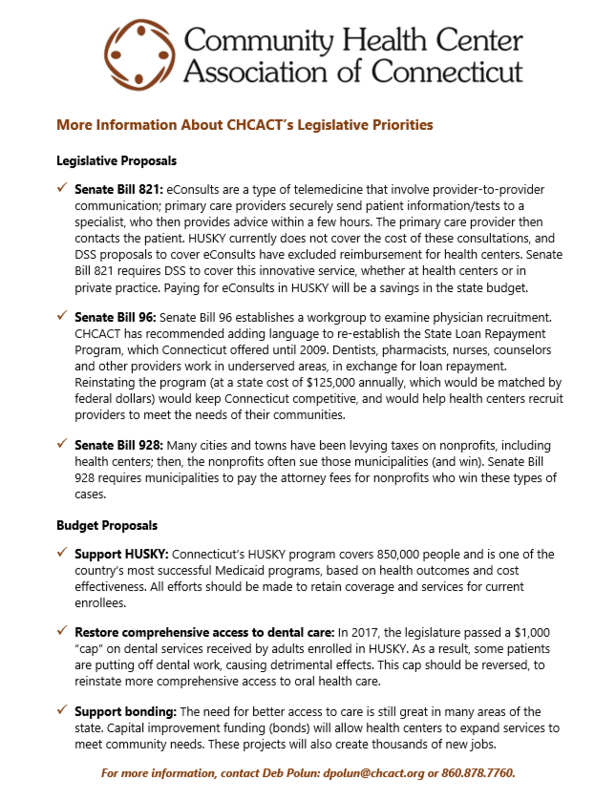 CHCACT staff and FQHC board members and staff communicate regularly with federal and state officials, provide testimony at legislative public hearings and are participating with state appointed task forces to contribute to Connecticut’s future health policy plan. 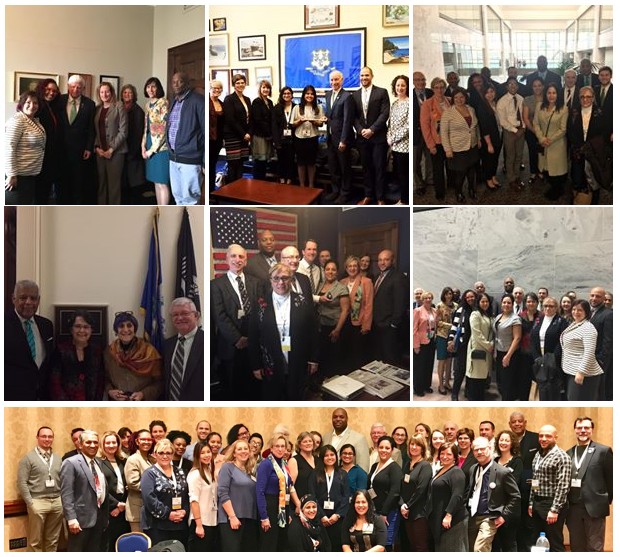 2018 "Hill Day" in Washington, DC On March 15, 2018, representatives of CHCACT and CT's federally-qualified health centers visited our Congressional delegation in Washington, DC. Our team included staff and board members from Charter Oak Health Center, Cornell Scott-Hill Health Center, Fair Haven Community Health Care, First Choice Health Centers, Generations Family Health Center, Norwalk Community Health Center, Optimus Health Care, Southwest Community Health Center, United Community & Family Services and Family Centers. We also brought along health professions students from UConn Health's and Quinipiac University's Urban Service Track Program. Thanks to our delegation and staff members who met with us to discuss the value that federally-qualified health centers bring to communities all across Connecticut! To learn more about CHCACT's public policy program, contact Deb Polun. Join us in advocating for health centers and their patients! To learn more about or participate in advocacy, please drop us a note using the form below.